This tutorial shows you how to create a page in the Reason web content management system. 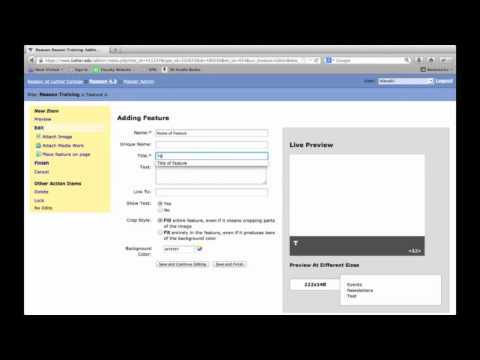 This tutorial shows you how to create an external link (instead of a page) in the Reason web content management system. 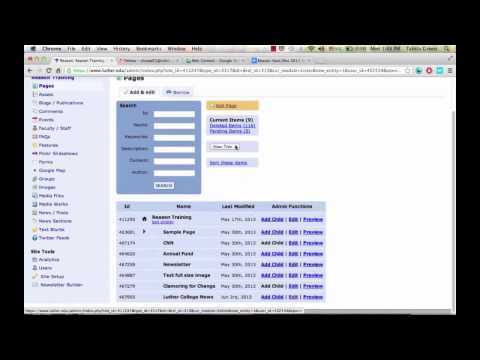 This tutorial shows you how to add a new faculty/staff entity in the Reason web content management system. 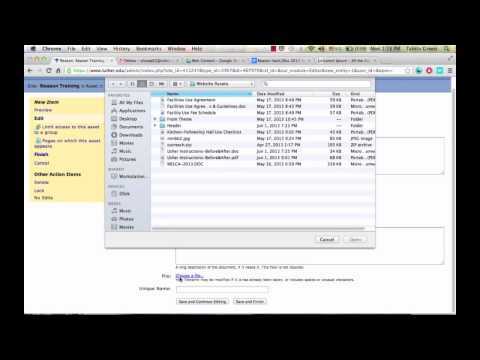 This tutorial shows you how to upload an image to the Reason web content management system. 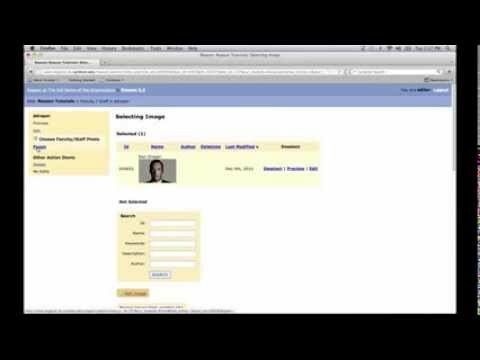 This tutorial shows you how to borrow an image from another site in the Reason web content management system. 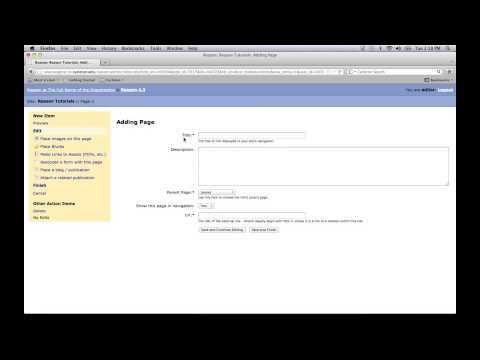 This tutorial shows you how to create a feature in the Reason web content management system. 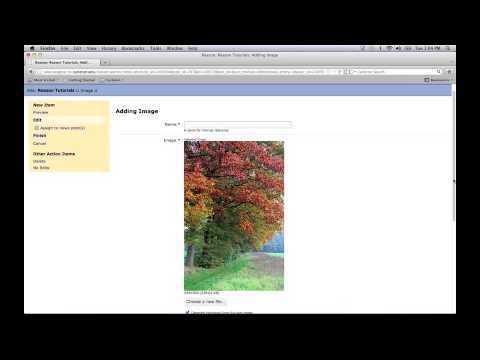 This tutorial shows you how to create assets in the Reason web content management system. 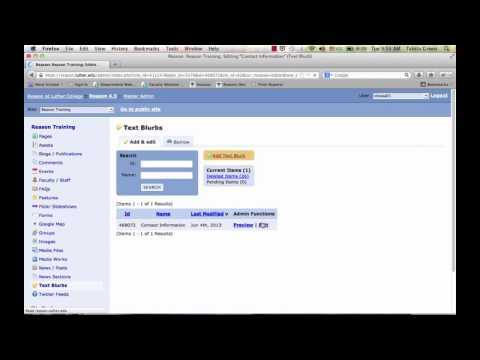 This tutorial shows you how to link a page to an asset in the Reason web content management system. 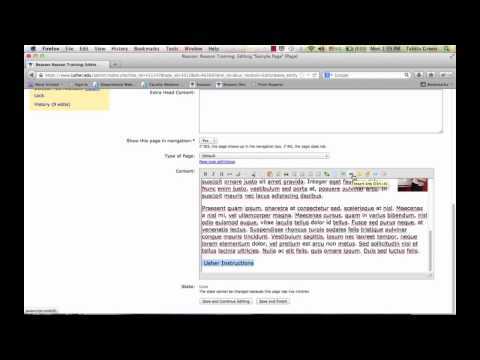 This tutorial shows you how to create a text blurb in the Reason web content management system. This tutorial shows you how to edit and add a text blurb to a page in the Reason web content management system. 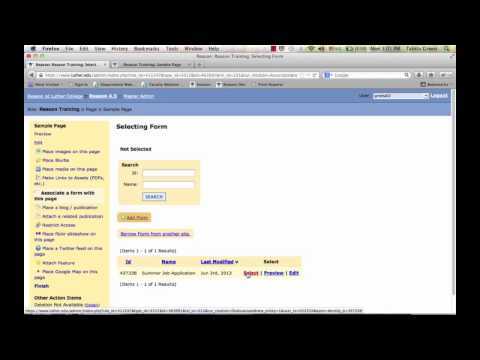 This tutorial shows you how to create a form in the Reason web content management system. 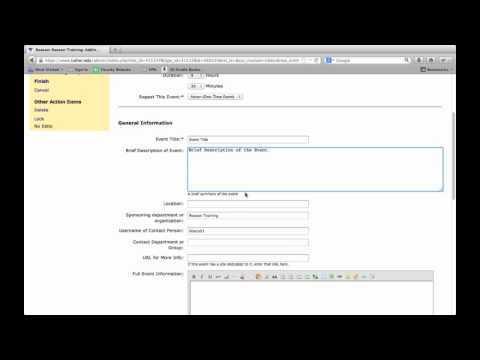 This tutorial shows you how to place a form onto a page in the Reason web content management system. 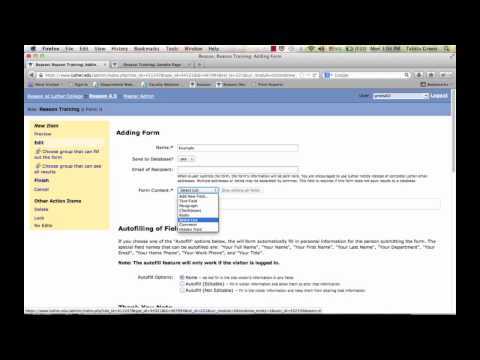 This tutorial shows you how to attach a blog/publication to a page in the Reason web content management system. 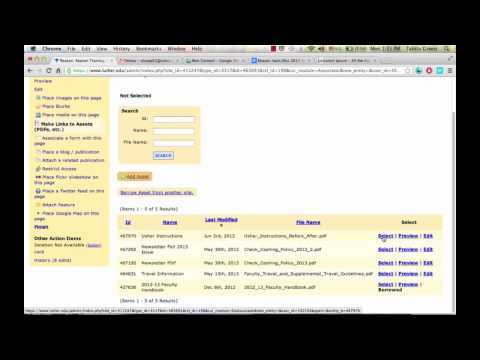 This tutorial shows you how to create, borrow and add events in the Reason web content management system. 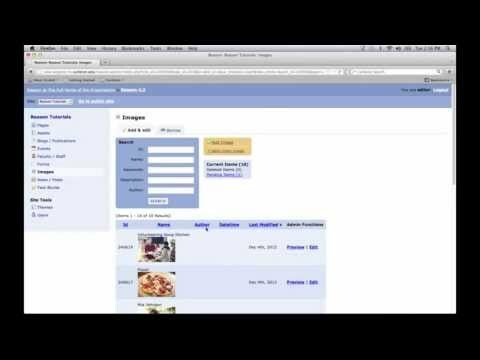 This tutorial shows you how to insert an asset directly into text in the Reason web content management system.